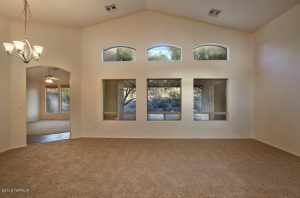 7 Sabino Mountain Homes for Sale. There are five for sale in the 300 thousands, one new listing on Quail Canyon for almost 900K and one for $1,295,000. Give me a call at 520-615-2598 if you are thinking of selling and need expert marketing service or if you want to explore homes for sale in the beautiful Sonoran Desert which includes beautiful, gated Sabino Mountain. 4222 N Quail Canyon Drive came on the market today at $899,900 which is $100 short of 900K by Long Realty; the listing agent sold the house to these Sellers for 844K three years ago and ten years ago it sold for an amazing $1,125,000. This 3,647 square foot semi-custom home with the popular all-in-one room functional floorplan–great room, formal dining room, kitchen and breakfast nook all- in-one open living space boasts some nice renovations. The ridge-top location offers very nice views of the Rincons and the Santa Catalinas. If you are thinking of selling your Sabino Mountain home I can help you! Call me at 520-615-2598 or email me at Donna@DonnaAnderson.com. I have sold 15 in our community and have over 30 years experience! 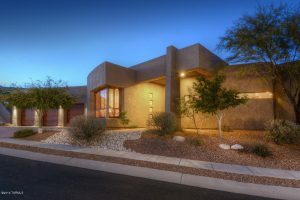 Long Realty listed and my company – Tierra Antigua Realty – found the buyers for 4258 N Ocotillo Canyon Drive. This 2,236 square foot one-story home has the popular floorplan with the large great room right off the foyer with over 2,236 square feet. 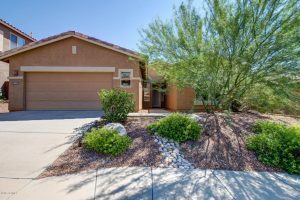 It was not surprising that it only took 45 days to sell since it was priced right, has new granite counter tops, fresh paint and new carpet; has a very private rear view of the Sonoran Desert and has a three car garage. It was listed at 335K and sold for 325K. 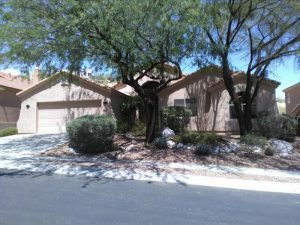 It is notable that we have a home in Sabino Mountain sell for less than 300K because we have not had one sell that low for the past few years. 4350 N Sunset Cliff Drive is an almost 2,100 square foot home that sold for more 3 years ago–when it sold for 297K; yesterday it sold for $294,900. This one was sold by West USA Realty. 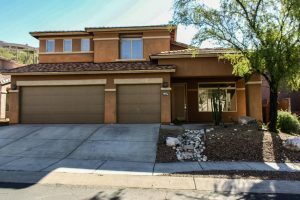 This over 2,200 square foot home boasts new flooring, granite counter tops, new appliances and a remodeled master bathroom. Saddle View Drive is one of the most quiet streets in Sabino Mountain and this one is on a dead-end street. If you would like to view this new listing email me at Donna@DonnaAnderson.com or call me at 520-615-2598. 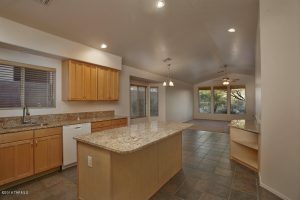 I can show you this listing or any other listings in Sabino Mountain and the Catalina Foothills. Long Realty listed and my company-Tierra Antiqua Realty- found the buyers for 7589 E Crested Saguaro Place that sold today for 1.2 million. 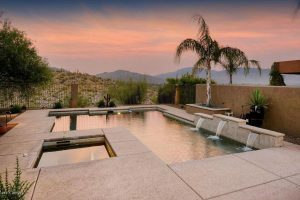 This is the second home that has sold for over a million in Sabino Mountain this year. It should be mentioned that this home sold for only 5K less when it was new 12 years ago. This is the state of homes priced over a million….very hard to see appreciation. 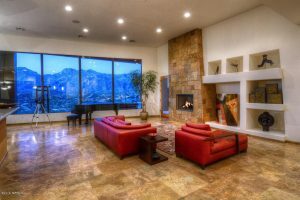 This ridge-top beauty has gorgeous high Santa Catalina Mountain views and boasts over 4,700 square feet. Built by Outpost Builders in “The Retreat” which is the second gated area of Sabino Mountain with only six or seven homes, this is a home run for this small exclusive enclave since the last two sales were a short sale and a foreclosure with the homes selling well below their value. After 7+ years of a very rough housing market for Sellers many are wanting to move-on to their next destination whether it be to a smaller home in the neighborhood, another new build, or to move to another area all together. It has only been unencouraging news for the once popular two-story Monterey resales of the almost 3K square foot, two-story homes with 3 car garages and the large first floor master suite. After several sales a year ago were in the 430K range, the prices have only moved down to this one that is rock bottom. 4374 N Sunset Cliff Place is a flip sold by Portofina Realty for the huge bargain price of 335K! The house was bought at auction–fixed up a bit–new carpet and appliances, etc. and then sold after being on the market a little over two month’s time. The comparables are sure to be down with the last 3 sales of this same floorplan going south in the mix (they are as follows: 390K (with pool), 369K (with pool) and then, of course, this one at 335K. If you are thinking of selling in the near future, now is the time to update your home– get new appliances if you have the original ones, paint, create some new and exciting landscaping, etc. Keep in mind stainless steel upgraded appliances are still the most popular. You are currently browsing the Sabino Mountain Blog blog archives for June, 2016.